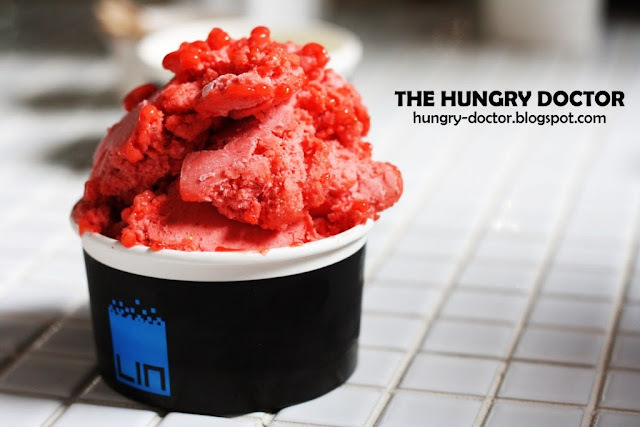 The Hungry Doctor : Indonesian Food and Travel Blogger based in Jakarta: Lin Ice Cream - Welcome to the Lab ! 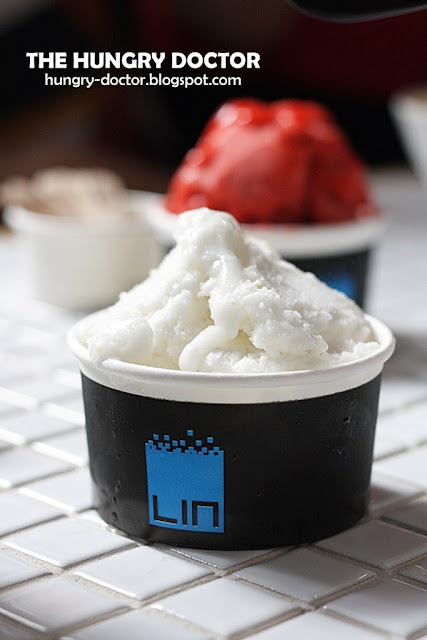 Why LIN is different from another ice cream ? because they use Liquid Nitrogen to freeze the ice. 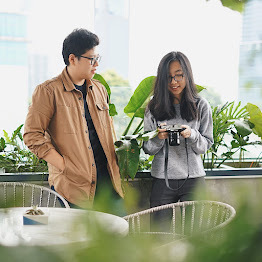 It's a technique from Italy, and LIN Artisan Ice Cream is the first in Indonesia which using it. 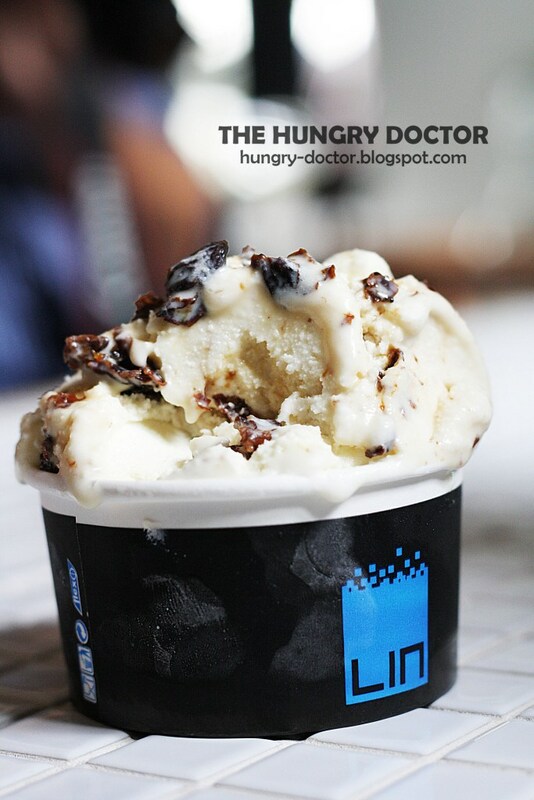 LIN Artisan Ice Cream is located in Kemang, opposite of Publico and next to Umbra. You can see the eye-catching tag " I Scream Ice Cream! " on the front door. For honest, they have a such great atmosphere to hang-out. I love this place, even they're not too big, but everything here just fine from the cleaness, decoration and some cute-ornament. When you get inside, you can see a lab of ice cream beside you and you can see the process of making ice cream using Liquid Nitrogen. The advantages of using Liquid Nitrogen is the ice cream will be more smooth and fresh rather than it keep in the fridge. 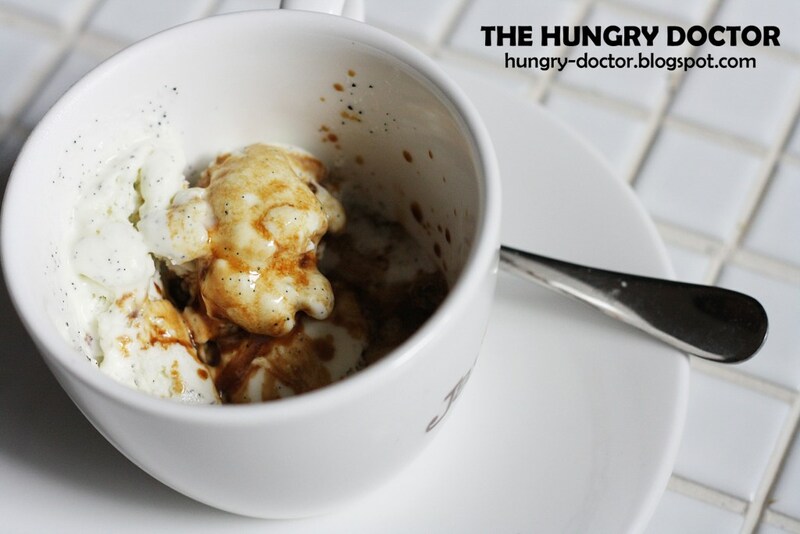 Sometimes if you keep ice cream in the fridge they will be some ice particle which interfering the texture of ice cream. So you can imagine how smooth, soft and fresh the ice cream will be if you using Liquid Nitrogen. 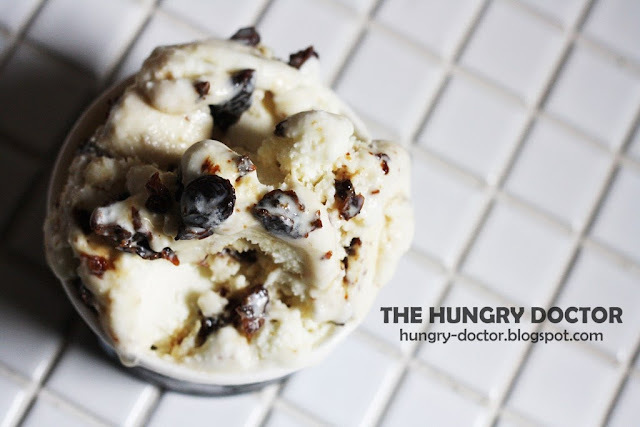 LIN Artisan Ice Cream use fresh ingredients for their ice cream, without food coloring and preservative. For example, if you order strawberry ice cream, they will using fresh strawberry. So you can taste ice cream with all natural ingrdients. To make ice cream here, every maker should wear google and gloves, to protect them and for hygienical purpose. So, there're some crews who prepare the ice cream ingredients and some do a mixing and freezing process with Liquid Nitrogen. Each tube contains 50 liters of Liquid Nitrogen, and it will produce about 70 ice creams. I feel so excited when see the process of making ice cream here, and quite sure you'll feel the same way too here. The ice cream will be ready just about 5 minutes. So there's no time for waiting here, after you order and look around the dining area, or walk around to backyard to see their outdoor spot, your ice cream will be served. Not just ice cream, LIN Artisan Ice Cream also have small bites like french fries or chicken nuggets, waffle to complete your ice cream and some favourite coffee drink from Javabica..
Let's see what they got.. They have 2 different kind of ice cream, Gelato and Sorbet. Gelato is ice cream using milk and Sorbet is fruit-based ice cream. This is the first and the most favourite gelato here, Ultimate Chocolate. Best chocolate ice cream I've ever had, they use cocoa powder and milk for the chocolate taste and add extra chocolate chip to improve the texture. 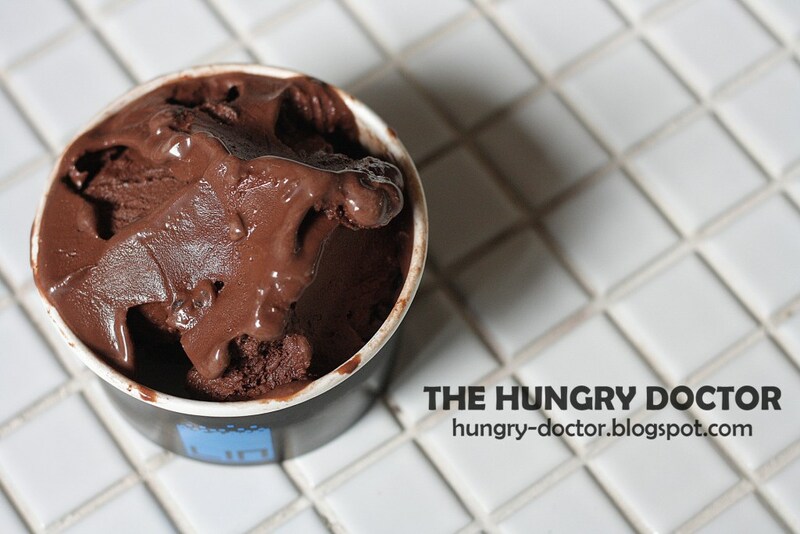 You can taste sweet and bitter in one harmony when you lick it, the texture is smooth with strong taste of dark chocolate, such a great chocolate ice cream ! Well, there are from gelato and now it's time for sorbet. In my opinion, they have the most smooth sorbet ever. Made from fresh strawberry you can feel the texture here, like ice cream with a bites of fresh strawberry, you can taste the sweet and sour, but for me it's a great combination. 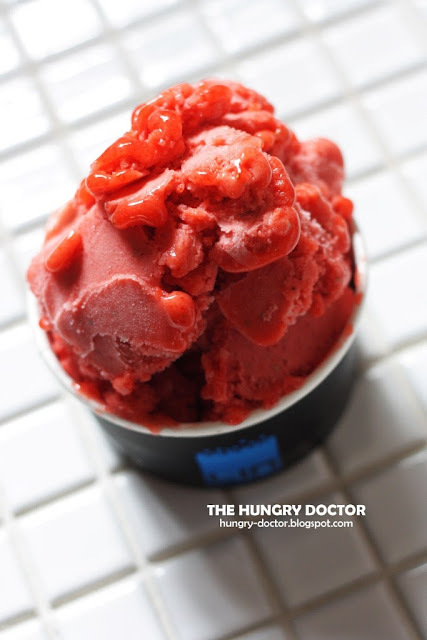 The sour make it so delightful, and I will give two thumbs up for this strawberry sorbet. 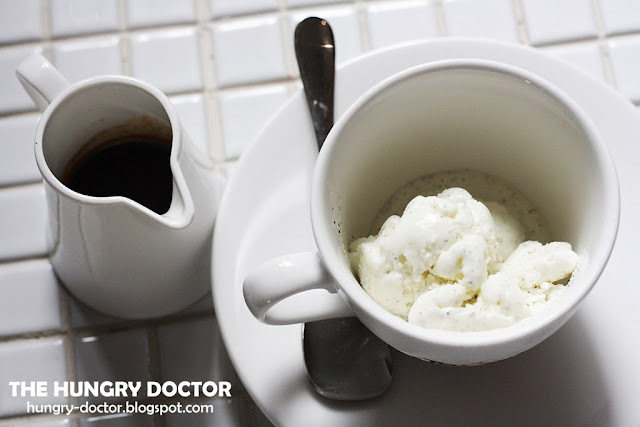 Maybe this is the first time I try lemon sorbet, actually I think the taste will be a little bitter, because I've tried orange sorbet and I don't like it at all, but this lemon sorbet is so delicious and fresh, sour is dominant here, but that will make you fresh ! Made from fresh lemon juice, lemon sorbet give you a freshness that you've never get before. You should try it ! Affogato is the combination of a cup of ice cream vanilla and single shot espresso served separately. 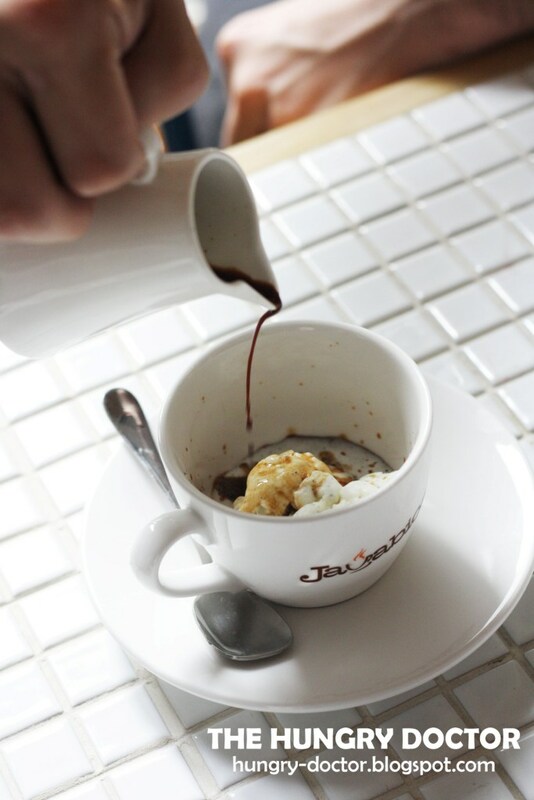 When you will consume it just pour the espresso to the ice cream and enjoy it. 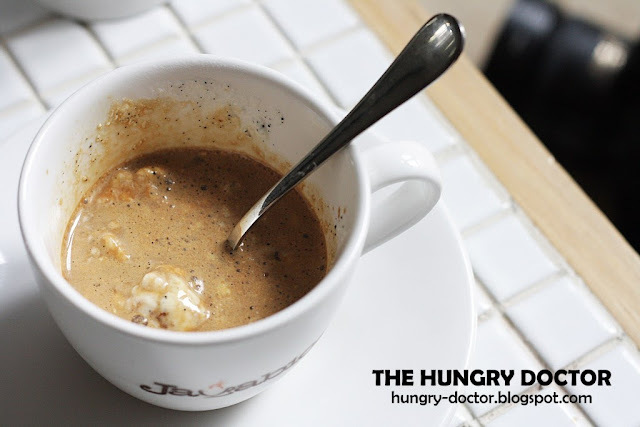 Great fresh vanilla ice cream combine with espresso from Javabica make this affogato as a rich and classy dish, for coffee and ie cream lover you should try it. Beside Ice Cream, LIN also have Waffle and the waffle is homemade too. 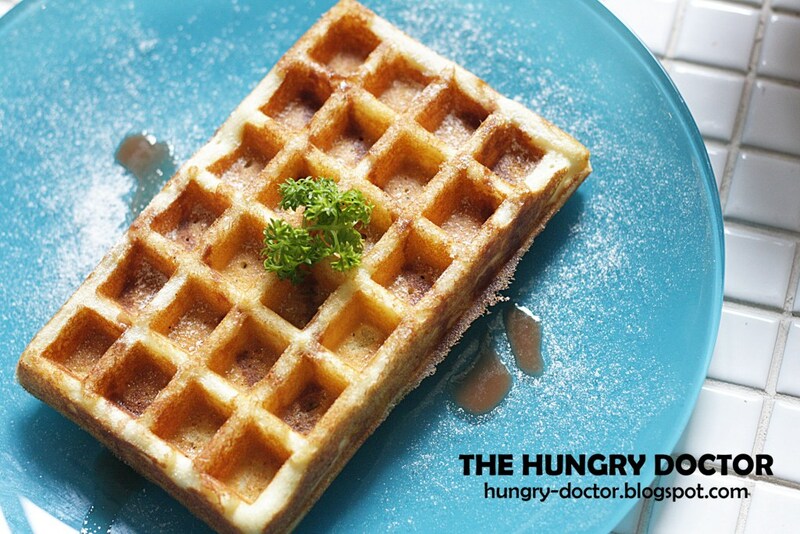 This heavenly waffle is served with mapple syrup, and if you like you can also add your ice cream on top, because ice cream is a great topping for waffle itself. The waffle here is so delicious, the aroma is so tempting and the texture is crunch outside but smooth inside, what a great waffle ! 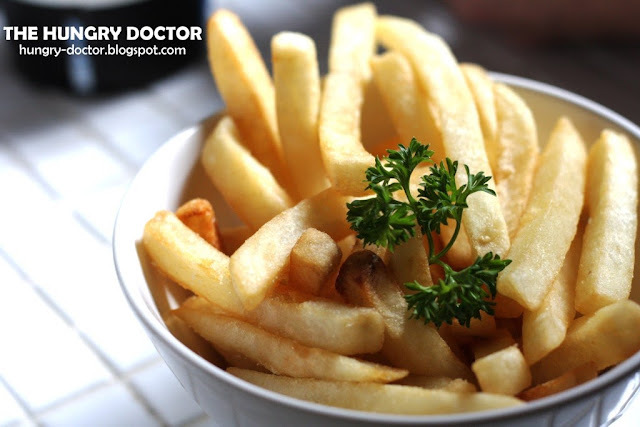 The taste just like french fries as usual, nothing special with it, but can become a great snacks when you hang-out here with some friends or family. The size is quite big and thick, and it makes crunchy but there's still the texture of potato. Still from small bites, LIN have Prawn and Squid Fried Ball. 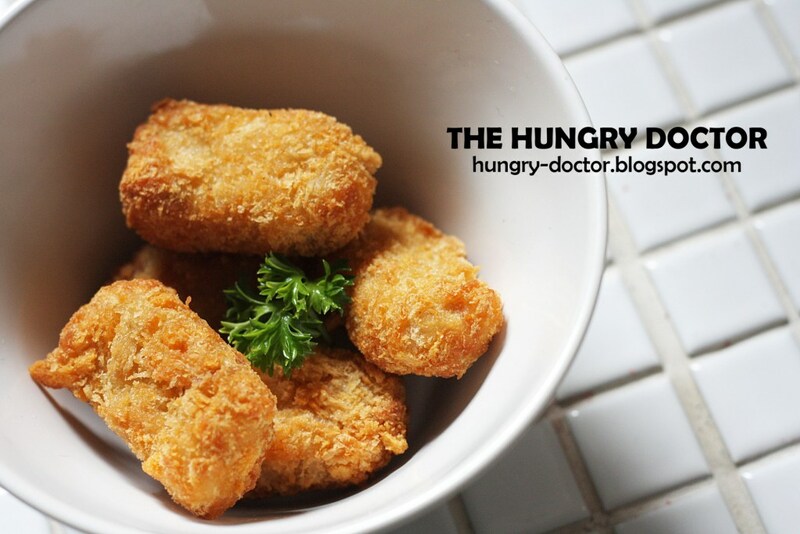 It's a quite big portion, this ball have fluffy texture and great taste, there's no fishy taste at all. I love the texture and the taste. 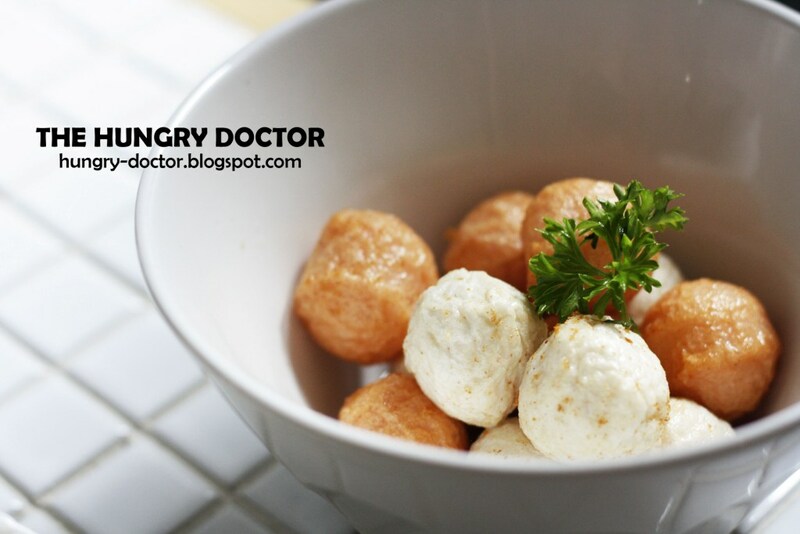 This prawn and squid fried ball can be a smart choice for snack time here. It's worth to be tried. Well, there are some menu that you can choose when you're at LIN Artisan Ice Cream. Ice Cream lovers have to come here, you will feel satisfy here, you can enjoy the atmosphere, see the attractive process of making ice cream, and enjoy the great taste of ice cream, beside ice cream you can try their great snacks too. The price is quite affordable I think, yeaaa there's some money you have to spend for quality hehe.. I Scream Ice Cream ! Seems like such a fun place to visit! 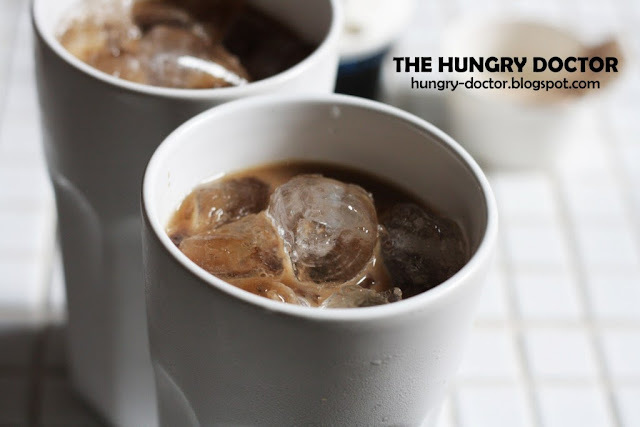 :) thanks for the neat review, Doc!